The Marine Detachment at the US Fires Center of Excellence, Fort Sill, OK utilizes FiresFST to train their officers during Basic Officer Leaders Course. They are trained in the fundamentals of Fire Support, utilising FiresFST procedural software to increase their knowledge on the diverse methods and applications of Joint Fires. 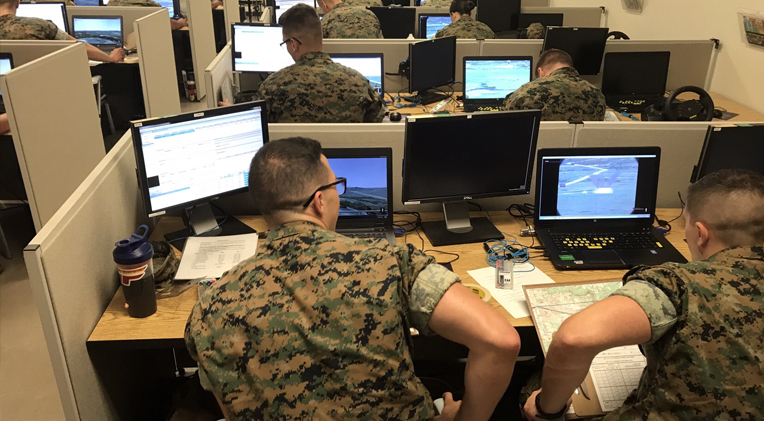 Officers are trained in the employment of Joint Fires effects and the operation of the FiresFST software to a point whereby they can execute indirect fire scenarios as peer to peer training is accomplished. Finally, these officer cohorts matriculate into incorporating more advanced tactics, techniques, and procedures as part of their individual training continuum, incorporating Fire Support Control Measures, Battery Target Worksheets and Schedule of Fires. This enables the US Marine Corps officers to gain valuable exposure and comprehension of Joint Fires doctrine and application at low recurring cost with high training efficiency and adaptability.